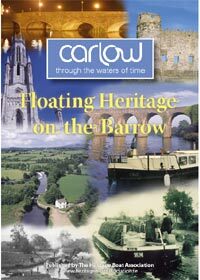 We published this book to celebrate the visit of the Heritage Boats to Carlow and to promote awareness of our spectacular waterway system. We believe that increased knowledge of the pleasures and benefits available from the system will lead to greater use. This in turn will help to ensure a high level of conservation and so future generations will also be able to enjoy the wide range of activities the waterway system provides. A great number of people and organisations have been involved in the production of this booklet. They have provided photographs, historical data, articles, anecdotes and a variety of other input. There are too many to mention individually but we would like to thank them all for their invaluable contributions. We wish to single out Waterways Ireland for the positive operational and marketing support they have provided. Without them this project would not have been possible.